This page has been moved. go here for information about our 2019 gathering. a primitive skills gathering unlike any other. All of our ancestors interacted with their landscape through methods of hunting, gathering, cooking, and a number of other skills. In these daily activities, the people formed deep relationships with the land based on reciprocity rather than extraction. These indigenous ways of living were the most eco-conscientious life-ways ever practiced on our planet, in which the land provided and the people protected the land in which their ancestors resided. We aim to instill these lost connections in our gathering attendees. Net profits and all donations will be used to conserve wild land. Find out more about our conservation efforts HERE. For those interested in gaining all the experience possible from incredible ancestral skills mentors you will be most interested in the 3 day 3 night pass. You will arrive the afternoon of Thursday, July 25th to set up your campsite, attend opening ceremony, and eat light refreshments. Beginning on Friday and extending into Sunday afternoon, you will have the option of learning from at least 3 instructors each day. Our classes are primitive skills and nature-connection focused. Learn more about Our Classes and Our Instructors below. No charge for children under 4 years of age. Options available for people with little or no income. Please contact us for details. the dawnland gathering will be held at nezinscot's north farm in turner, maine. (Directions may be found below). Come join Arthur, author of A New Path, on a plant walk and a forest archery walk! Rachel, co-founder of Wild Ridge Plants, will be leading a class on native edible and medicinal plant gardening & restoration. Hang out with "PrimiTim" to learn spoon-carving, shelter building, & fly-fishing. Nick is a homesteader and a former instructor of the Maine Primitive Skills School. He will be teaching hand-drill. Charlie is an archeologiest and a student of Eric Callahan. He will be teaching a primitive pottery class. Kate has been practicing primitive skills deeply for the last 6 years. She will be teaching a leather stitching class. Joshua is a sailor & founder of CrossFit Providence. He will be teaching a natural movement class and a basic knots class. 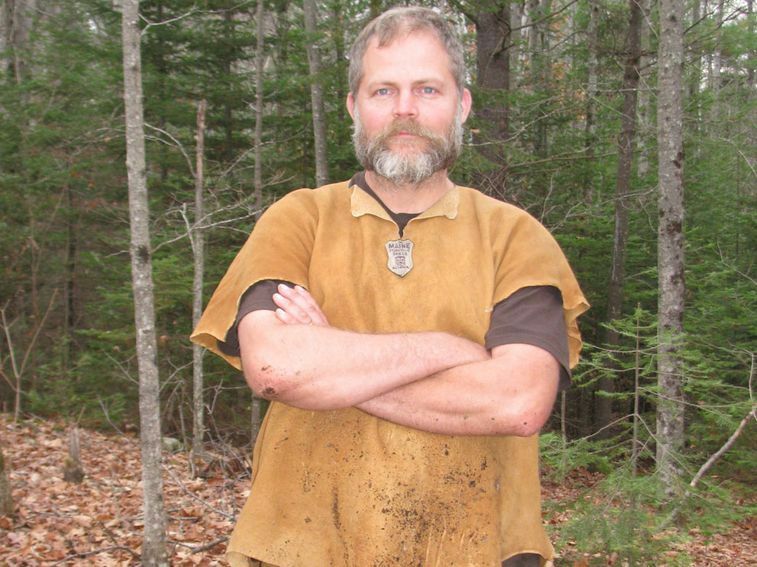 Michael of Maine Primitive Skills School is teaching bow-drill and deep awareness. Andrew of Two Coyotes Wilderness School. He will be teaching tracking and coal-burned bowls. Brendan of Your World Drum Circles is leading a gathering-wide drum circle! Natalie will be teaching about climate change impacts on the Penobscot & Passamaquoddy seasonal harvest wheel. Steve Byers is a Clinical Herbalist and teacher. He will be running the wellness tent at the gathering. Bob owns and operates Thunderbird Atlatl. He will be teaching atlatl making, flint knapping, and cordage making. David Spahr is an author, naturalist, photographer, forager, and forest farmer. He will be teaching a mushroom class. "Butch" Jacobs will be pounding and creating Passamaquoddy baskets. 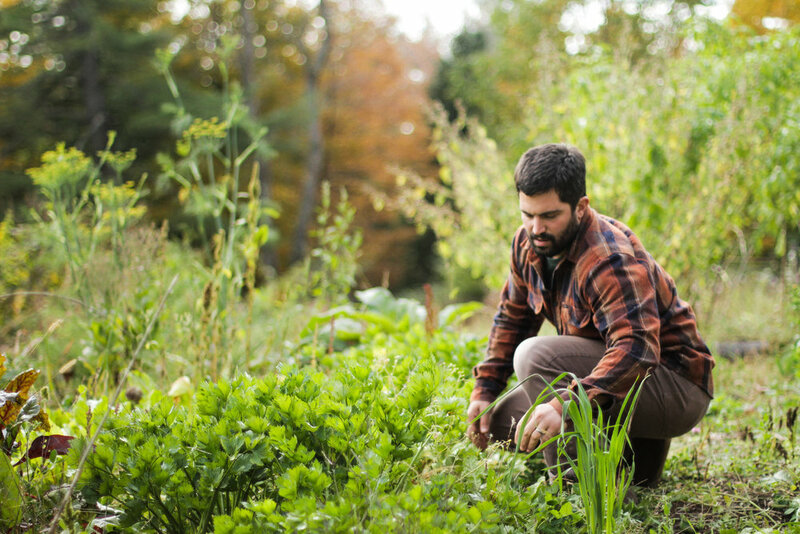 Frank Giglio is an expert wild food chef and owner of Three Lily Provisions. He will be roasting a pig on Saturday! Lauren is an art teacher who will be teaching pottery & kombucha making. With Laura, you will learn about gut health & fermentation. She will also be teaching and crafting rawhide hand-drums! Come hang out with Emily & learn to transition your kitchen & pantry to include more wild foods! Marie is a mother, naturopathic doctor, nurse, therapist, and ham radio operator! She is teaching a soap-making class. 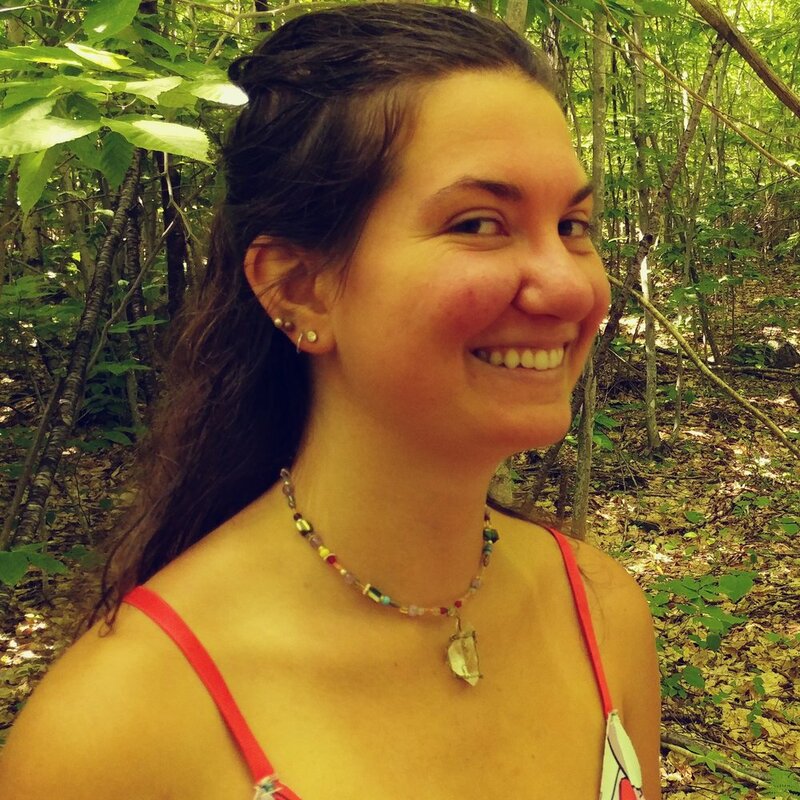 Trevanna teaches and consults on nature connection with The Wildwood Path. She will be sharing pine bark basket making, archery, and bird language workshops. Participate in the opening ceremony. Take part in our “speed dating” game to get to know the other campers. Arthur Haines will provide a thought-provoking talk on communal living. Participate in a ceremonial sweat lodge guided by Rei. Enjoy the musical charm and participate in a gathering-wide drum circle facilitated by Brendan Finnegan. Shop the marketplace to find hundreds of local creations designed by our instructors! There will be engaging activities scheduled for children while the gatherings' classes are occurring. Participation is not mandatory and the children will be treated as sovereign. In other words, children can come to Kid's Camp and go as they please. Children must know where their caregivers are at all times and how to find them in case they decide not to participate. The children of Dawnland Gathering are also encouraged to attend the gatherings' classes, depending on their level of focus and the individual instructor's wishes. Children under 4 years of age will need parent supervision in kids camp or must remain with their parents throughout the gathering. Nezinscot Farm will be cooking daily omnivorous breakfasts and dinners for all of our overnight campers. Saturday evening, enjoy a delicious feast of roasted pork, cooked over hardwood by Chef Frank Giglio. This location overlooks the Androscoggin River and is owned by local, organic farmers, the Varneys. Swimming access to the river. Parking and tent site included. tent site, and parking. Lunch is not provided. Sign up with your email address to receive news regarding The Dawnland Gathering.